Van Damme Red Series Video multicores are 4 and 5 way versions of the Van Damme standard 75 Ohm coaxes. 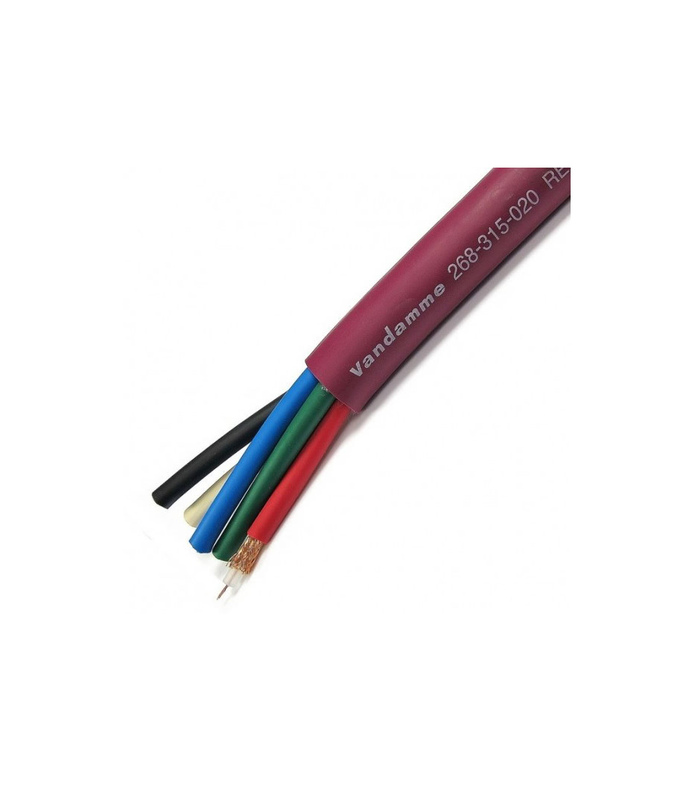 Designed for use in the Presentation and Broadcast industries, they are commonly used for the transmission of video signals such as RGBHV and RGB Sync over longer distances - up to 100 metres for analogue video signals. They are flexible but also very robust and are ideal for multiple rig and de-rig situations due to the attention paid to their construction, overall diameter and weight. 268 315 020 from VDC is 100% original and is available at NMK Electronics. Speak to our expert for booking a live demonstration. After sales customer service is an integral part of our business ethic and is taken very seriously.